Space Unicorn - Battle Over Cupcake Mountain | A Parry Gripp Game! 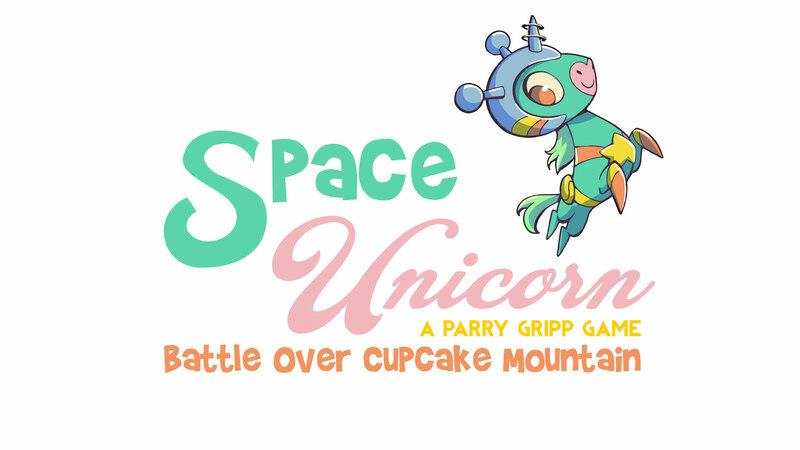 Sign up now for more information about Space Unicorn: Battle over Cupcake Mountain – A Parry Gripp Game! Space Unicorn: Battle over Cupcake Mountain is a cooperative play, 3D board game based on the characters of the internet’s catchiest songsmith, Parry Gripp. The game is for ages 8 and up and it uses a Yahtzee style dice strategy system mixed with card play to challenge players to work together to build a rainbow bridge to the top of Cupcake Mountain and defeat the evil Gummy King to save the day.